The Reserve Bank of Malawi (RBM) says it will investigate Illovo Sugar (Malawi) plc for suspected foreign exchange externalisation and price transferring based on revelations in a court case. At the same time, the listed sugar manufacturer’s 300 minority shareholders say they will pursue the case against the company, demanding full disclosure of out of court settlement agreement with few minority shareholders or seek redress from the courts. But Illovo Sugar (Malawi) argues that the out of court settlement was not an admission of wrongdoing and that the company would not disclose the agreement, arguing the agreement was between Illovo Sugar South Africa and Prudential Holdings Limited. He said RBM was interested in the Illovo matter because of the foreign exchange that was suspected to have been illegally externalised possibly through transfer pricing. He said illegal forex externalisation and transfer pricing cases are at a critical level as evidenced by the many cases currently undergoing investigation and prosecution, whose equivalent total value is in excess of $475.32 million (about K346.5 billion). “We believe that with the recently signed memorandum of understanding [MoU] with different law enforcement agencies, perpetrators of this vice will face the long arm of the law,” said Ngwira. About 300 Malawi Stock Exchange (MSE)-listed Illovo Sugar (Malawi) plc minority shareholders have accused the company of appeasing some minority shareholders with board positions and monetary benefits to drop the case in which the company was accused of falsifying documents to deny shareholders dividends and illegally externalising money. The firm last paid K13 billion dividend in 2015 and since then, it has not paid interest to the shareholders, claiming that it has been paying back a loan which the minority shareholders questioned its authenticity. Since 2016, Illovo Sugar (Malawi) and some of the minority shareholders—notably Prudential Holdings Limited—tussled in court, accusing the company of falsifying financial statements, withholding information from its minority shareholders and allegedly making payments to “undisclosed related payments to Illovo Sugar South Africa and its parent company, Associated British Foods, in the United Kingdom”. However, the settlement between Illovo Sugar (Malawi) plc and Prudential Holdings Limited has angered the company’s other minority shareholders. Minority Shareholders Association president Frank Harawa said, while the settlement agreement was made public, the other minority shareholders have information that a substantial amount of money was made to the other minority shareholders and that they were also given positions in the board as appeasement. At the 54th Annual General Meeting in Blantyre on February 27 2019, the minority shareholders asked the company to disclose the settlement agreement with Prudential Holdings Limited, but Illovo Sugar (Malawi) refused. “We want to understand the details of the settlement. We were surprised with the inclusion in the board of some of the members of the minority shareholders who sued the company and we are also hearing of a monetary settlement,” he said, adding that Illovo is a public company and has to be transparent. Minority shareholders took to court the majority shareholder based on affidavits sworn by messrs R.H. Savjani, G. Tembo and A.A. Kalanda, who were demanding that Illovo Sugar (Malawi) and/or its directors disclose commission payments of $500 000 (about K36 million) and $900 000 (about K65 million), details of the transactions and procurement that attracted a K300 million interest with Illovo South Africa. The minority shareholders also accused Illovo Sugar (Malawi) of failure to disclose excessive borrowing which increased by 40 percent, the financial costs increased by 135 percent and a bank overdraft which increased by K1.2 billion, saying the borrowings have had no commercial rationale and were without any adequate or proper consideration by the board. They also accused Illovo Malawi of diverting distributable profits from the minority shareholders. 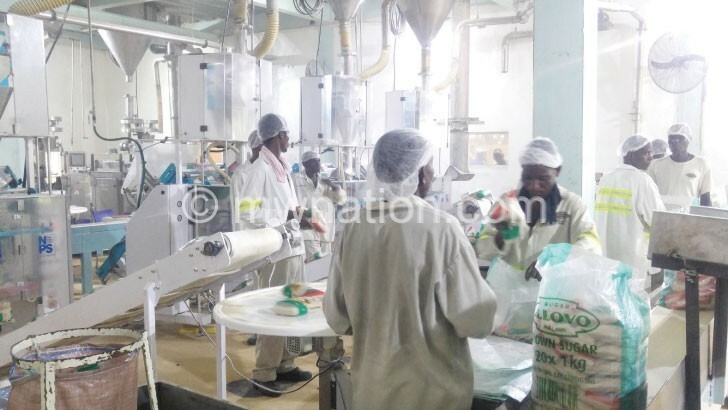 Illovo Sugar (Malawi) company secretary Maureen Kachingwe confirmed that the two parties resolved the matter out of court, saying the decision was taken by the majority shareholder, Illovo Sugar Africa, at no cost to Illovo Sugar (Malawi) and minority shareholders. She also confirmed that Illovo Sugar Africa (Pty) Limited made payment to minority shareholders, but said it was a contribution to the legal costs. However, Kachingwe dismissed assertions that some members from the minority shareholder were appointed to the board, saying the company was going through a process of refreshing the board and that all recent appointments were made in the context of bringing new skills, experience and local insights to the company. “All non-executive directors appointed to the board are subjected to a robust interview process and need to meet the criteria as set out in the Company Act,” she said. In the summon, Prudential Holdings Limited accused Illovo Sugar (Malawi) of breaching Section 182 of the Companies Act, as the sugar company’s directors failed to have prepared annual accounts which give a true and fair view of the state of affairs and profit or loss of the company as they omitted transactions/details from the financial statements.